“Only a few people have the supersense of smell necessary to become a Nose—for reasons known only to Noses themselves, no woman has ever had it,” wrote one Donald William Dresden in a 1947 article about “twenty noses of France.” All of these twenty noses, as Mr. Dresden explains to his New York Times readers, are middle-aged men, imposing and intellectual. At round the same time, Germaine Cellier was galvanizing traditional French perfumery with her unforgettable Bandit (1944) and Vent Vert (1947). But she remained invisible for the likes of Dresden. Fast forward to 2017. Since 1947 perfumery around the world has been altered dramatically by the greater openness of the industry and the opportunities it gave women. One would have hoped that their contributions were honored and recognized. In July 2017 Allure ran an article, The American Perfumers Modern Approach to Fragrance. Yet, in the magazine issue devoted to diversity, the article about the American indie movement didn’t mention a single female perfumer. It’s a serious oversight, since the indie movement is inconceivable without female perfumers. Having found the traditional houses either closed to them or limited in creative opportunities, talented and ambitious creators turned to the indie approach. The former situation was especially true for women. To appreciate the scope of change over the past few decades, I only need to consider my own story. In 1947, for instance, a person like myself with no family links to the industry, wouldn’t have even made it inside the doors of a fragrance house. Yet, in the 2000s I was given a chance to study perfumery on the strength of my qualifications alone. My mentor was Sophia Grojsman, a perfumer who revolutionized fragrance composition. Sophia also arrived from outside the industry, a Belorussian immigrant and a chemist, who was engaged by International Flavors & Fragrances to make simple blends to cover up the smell of harsh chemicals in depilatory creams and other such unglamorous tasks. Sophia’s creativity was noticed and promoted by Josephine Catapano, the author of Estée Lauder’s Youth Dew. American perfumery was put on the map after WWII. Until then, perfumery trends and fashions were dictated out of Paris, although smaller fragrance houses had always existed in other parts of the world. The war changed everything. A number of companies transferred their perfume making facilities from Europe, while perfumers moved to the United States. Chanel No 5 started being produced in New Jersey. Catapano was of that new generation of perfumers, along with Bernard Chant and Ernest Shiftan. Her contributions, however, aren’t mentioned as often, although her Youth Dew created a revolution. Perfume could be bold, dramatic and enjoyed by a woman at her own pleasure. As Sophia Grojsman was crafting masterpieces like Yves Saint Laurent Paris, Lancôme Trésor and Calvin Klein Eternity, the late 1980s and 1990s also saw the birth of the indie movement in the US. Moving away from traditional forms and styles, indie creators offered a glimpse into their own universe. The same movement was taking place in France as well, having started in the 1960s with Diptyque and the 1970s with Jean Laporte. Annick Goutal working with Isabelle Doyen since 1986 made artisanal perfumery a part of personal expression, with its focus on capturing her memories and scents of places. Perfumer Olivia Giacobetti‘s name became synonymous with niche, and her compositions like Diptyque Philosykos continue to serve as benchmarks. 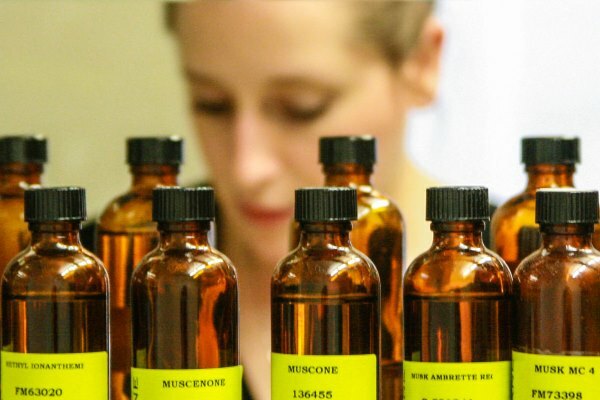 In the US, where would niche perfumery be without Mandy Aftel, Dawn Spencer Hurwitz, or Maria McElroy, for instance? The examples don’t stop here, of course, but even this brief overview shows what we have to consider if we are to talk about diversity. In order to help out Allure, Jessica, whose writing you might know from Now Smell This and her own blog Perfume Professor, proposed that we write articles on the topic. Jessica was the one who brought my attention to the July issue, and I was glad to contribute. This is the first article on Bois de Jasmin in this series. Please visit us on Wednesday for Alyssa Harad’s piece on West Coast perfumers who changed the stakes of the indie movement. Women in Perfumery series: Victoria J’s exploration of indie and niche :: Jessica’s tribute to the indie pioneers :: Gaia’s marvelous post on Ava Luxe and Soivohle :: Chantal’s article on French independent perfumers. Update: Michelle Lee, the editor of Allure, did acknowledge the error and promised to do a better job in the future. Victoria: Yes, it was strange, wasn’t it? Jillie: Excellent, Victoria! Well done to you and “the Girls”. SilverMoon: Victoria and Jessica, many thanks for calling Allure out for their serious oversight and dare I say hypocrisy – astonishing to claim to write about diversity and then overlooking the most obvious! What’s equally disheartening is that women do this to themselves. spe: Isn’t that the truth! Remember the “orchestra hiring study?” When musicians auditioned behind a screen, more women were hired. DelRae ROTH: Great article, thank you. Surprising in a way and then again, not so much. It is complicated topic and not just for perfumery. I still remember being in Paris and opening an issue of American Vogue. A huge rose bouquet popup ad introducing the new Paris fragrance was stunning. Unforgettable promotion for a fabulous fragrance. And, Fidji by Josephine Catapano, another masterpiece, so beautifully green and evocative. Thank you Victoria for calling attention to these two remarkable artists and the many others that follow…. Victoria: The early ads for Paris were some of the best, lush and romantic just like the perfume. SolangeN: Fabulous article and follow up project, thank you! I can recall finding it strange, during a visit to Fragonard’s Paris museum in the late 90s, when the chic young woman giving the tour said women were never noses; because I’d always heard women have a more sensitive sense of smell in order to sniff out dangers to children, and because women are the ones evaluating and buying the fumes concocted by said noses. I always recalled that comment when later reading about Germaine Cellier, et. al.